What? There’s only 24 hours in a day now? 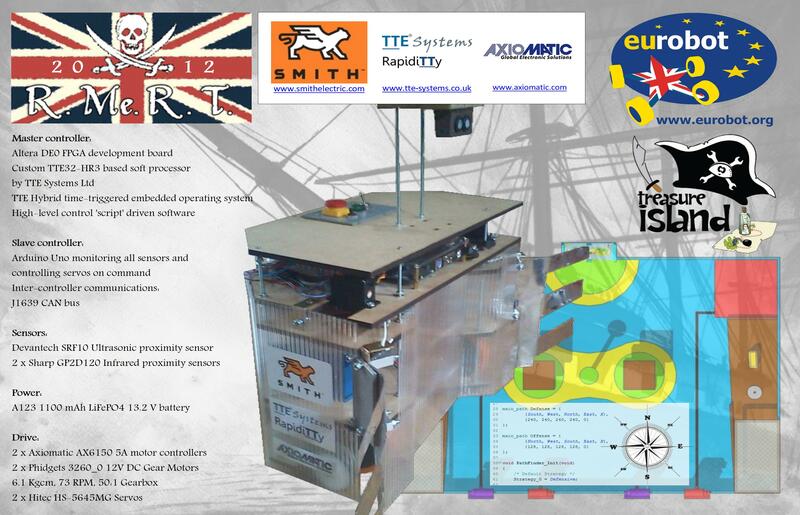 Eurobot 2012: Lessons learned and plans for next year. Now we’re in the ‘lull’ between the finals and the new rules being released, I thought it would be good to analyse what didn’t quite go to plan this year, and how it can be rectified for next year. First of all, I stand by the philosophy that we did all we could in the time available. Unforeseen and uncontrollable delays with funding meant that we were still putting the hardware together right up to the week of the competition. This meant that we had much less time practising on the competition table than I would have liked, which meant that we ended up competing with un-calibrated software.